One of the sites that I like for Lego is still maturing, and isn’t as popular among the predominately male AFOL demographic, but I can’t deny how handy it is for collecting my favorite MOCs from around the internet. Pinterest was built for this kind of thing: drawing images from various sources, curating them, then sharing them back out to the wider world. I’ve been using Pinterest for a while now, having conned an invite out of a friend. My boards there run the range between hiking, men’s fashion, and (of course) Lego. I actually have three Lego boards, each with a different focus. 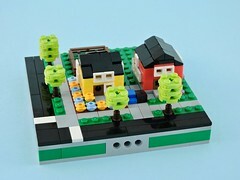 In this generic board, I pin all of the random Lego images that catch my eye. Sometime they are pictures that I take myself, but most of them come from other corners of the internet. the only real rule is that they are Lego-related. My mecha board is more specialized. Here I collect all of the cool mecha MOCs that I run across. I usually only pin a couple pictures from each builder, but I’ve been known to make exceptions. Most of my pins are from the creator’s images, as I try to track down sources and not just link back to third-party blogs. This is the board that really gets me going, an assortment of inspirational builds. This is my smallest board, but it has some great ships in it. I’m hoping to do some ship building soon too. Of course, beyond my own pins there are the boards that I follow from other users. There are a couple of other mecha aficionados that I’ve found and sometimes they turn me on to new builders. 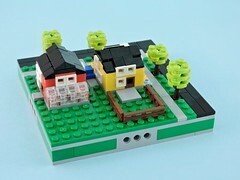 Most of the time that takes me back to Flickr, where I can peruse the builder’s MOCs and find cool things to pin. The two sites complement each other nicely for this kind of thing. I will say that searching for Lego on Pinterest produces a lot of noise. Much of the pins wind up being birthday party ideas and weird Lego jewelry. As a result, I usually follow the suggestions of other boards with similar pins to find things that are a little more on topic. Honestly, there isn’t much more to say about Pinterest. It doesn’t work for some people, but for some of us, the wall of images that it presents it pretty cool. Try it out as a way to curate your favorite creations and discover new ones. Enjoy!